Siam Park is a huge water park on the south west coast of Tenerife. It has been voted the number one water park in the world and as well as having some spectacular rides has been beautifully designed in an oriental style. 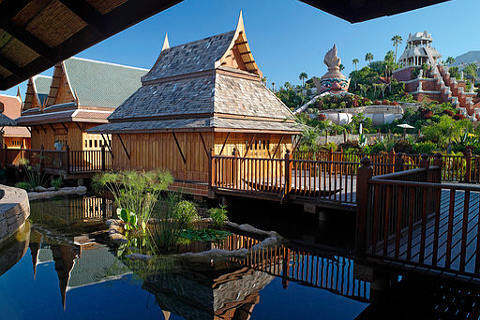 Siam Park has the largest collection of Thai-themed buildings outside of Thailand and was opened by the Princess of Thailand. The buildings and the lush planting all around the park is fabulous and makes the park very enjoyable to visit. There is something for everyone here with attractions for relaxing, rides to do with the family and rides for adrenaline-junkies. If you are looking for a thrill then the Tower of Power is a good place to start. The slide is 28 meters high and you can reach a speed of 80 km/h. To cap it all part of the slide takes you right through a shark tank! If you get to the top and decide its not for you - you won't be the first. The Dragon ride possibly matches the Tower of Power for thrill-seekers. In a dingy for four you drop down a completely vertical funnel until you reach the darkness at the bottom and then get ejected out to the ride's finish. Also amongst the adrenaline rides are Volcano which is a slide through darkness with a light show while you ride, Singha which is the newest ride and is an aquatic roller coaster that has you sliding along at speed and also the Mekong rapids. For families there are also a host of good rides. 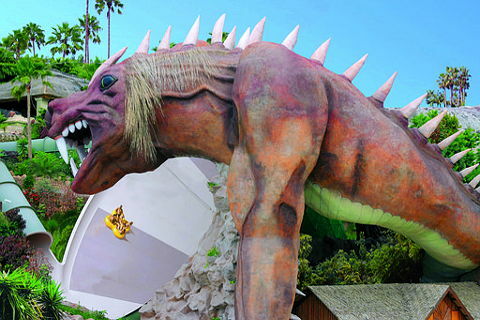 Sawasdee is an area with child friendly versions of the adrenaline rides, Jungle Snakes, Naga Racer and The Giant are different slides suitable for younger visitors though still fun for adults and teenagers. Lost City is a childrens pool with Thai themed slides and fountains and lots to make the area fun for smaller children. Siam Park's Wave Palace is fun for everyone. The artificial wave at 3 meters high is the biggest in the world and the pool is huge so everyone can enjoy it. After all the excitement you can relax at the beautiful Floating Market, hit the beach at Siam Beach, watch the sea lions at Sea Lion Island or enjoy the lazy river at Mai Thai River. 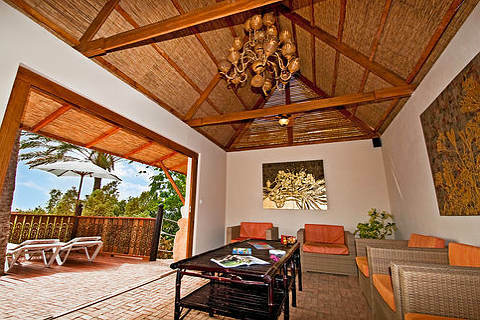 If you want to treat yourselves head to the Champagne Club or rent a private villa for the day. Siam Park is on Avenue Siam in Costa Adeje. It is exit 73 on the TF-1 motorway. Siam Park has its own buses that collect visitors from Costa Adeje, Playa de las Americas and Los Cristianos. 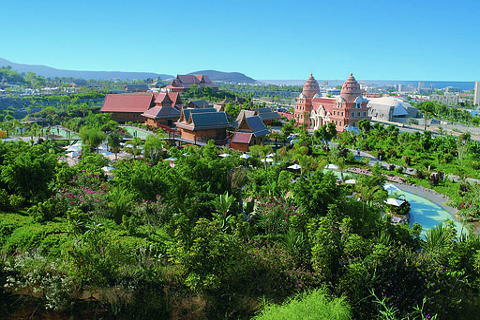 Siam Park is open every day from 10.00-18.00 in the summer and 10.00-17.00 in the winter (November to April). Tenerife's largest resort, the Playa de las Americas is just nearby and has a wide range of accommodation and restaurants. Los Cristianos is another nearby resort and whilst large still has its original fishing village at its heart.